Huge SW corner suite at the lovely & modern Stella. 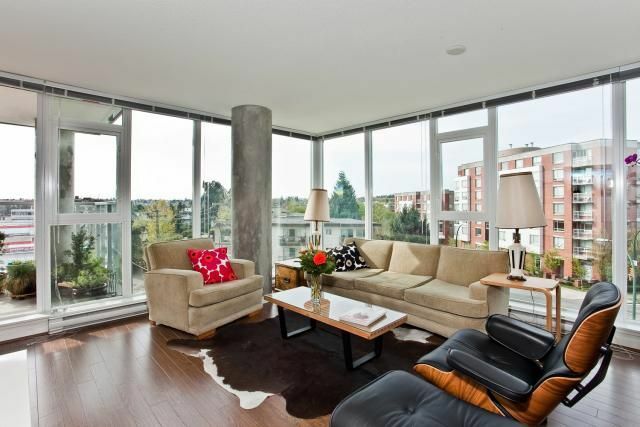 805 SF this one bdrm a flexspace has floor to ceiling windows looking over Mt Pleasant. The large balc is perfect for BBQ's & container gardening as well as entertaining. The kitchen featS/S appls, corian counters, a gas range & huge pantry. There's lots of closet space, so the insuite storage can quite comfortably be used as an office. 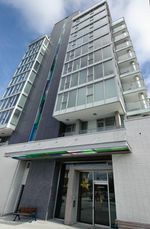 This concrete, steel & glass bldg with touches of coloured glazing & a green roof system is just over a year & a half old. Within walking distance to the wide array of restaurants & boutiques that South Main has to offer as well as the new comm ctr & library. Pets & rentals OK.